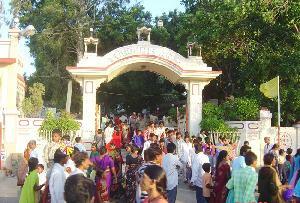 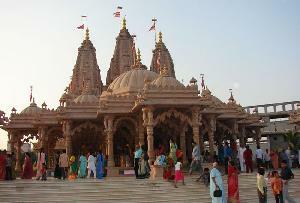 Temples in India as much as all over the world are thought to be the religious place of worship for the Hindus. 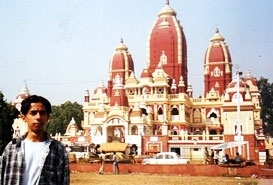 Such places are generally found to belong to the Hindu Deities. 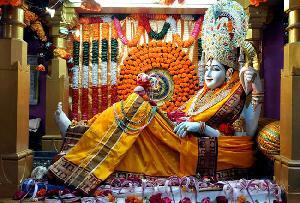 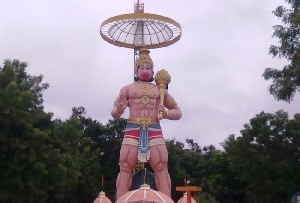 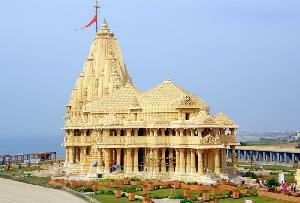 This is where the specialty of the Temples in Jamnagar lies. 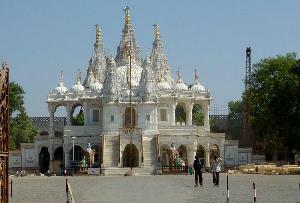 A number of such Holy Places in Jamnagar belongs to the Jain Sect. 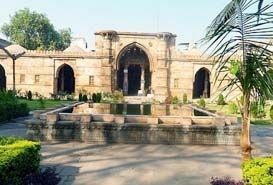 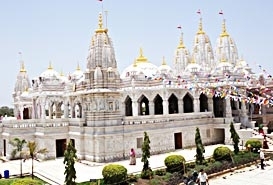 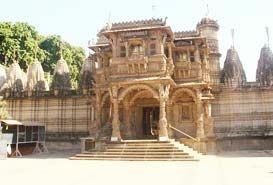 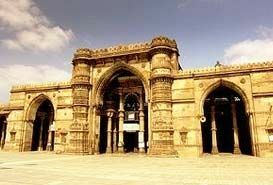 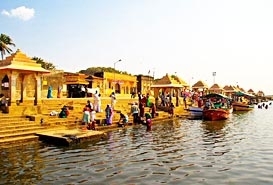 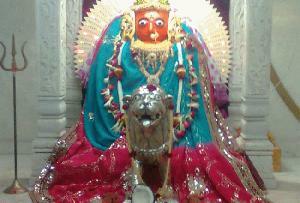 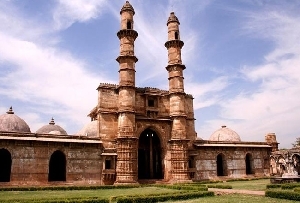 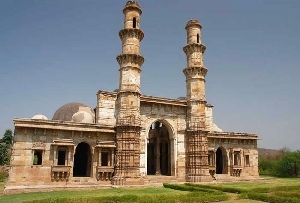 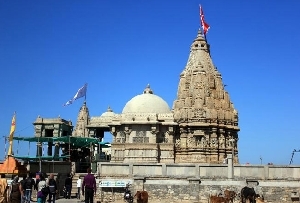 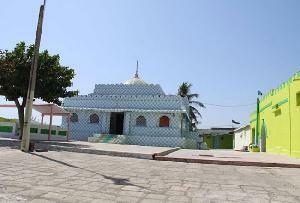 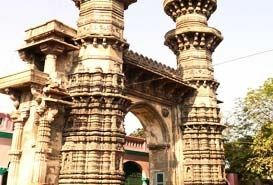 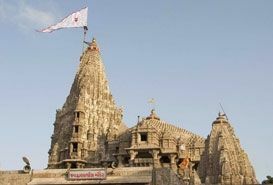 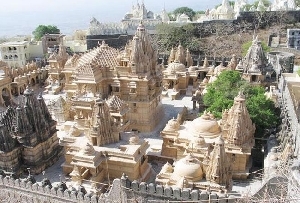 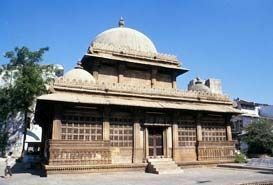 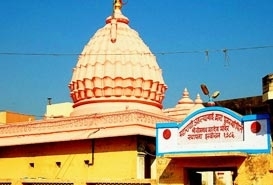 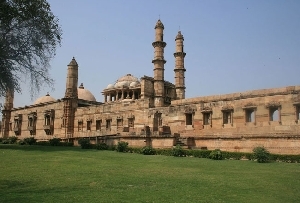 Hence this is where majority of the Tourist Attractions in Jamnagar lie and Shantinath Mandir is certainly one of them. 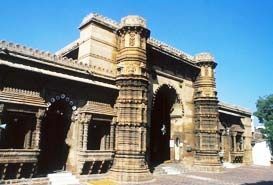 Shantinath Mandir in Jamnagar, India was built with the idea of spreading the Religion of Jainism to the rest of the world. 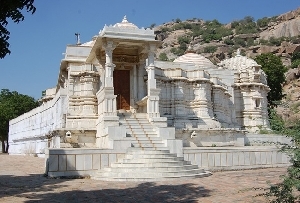 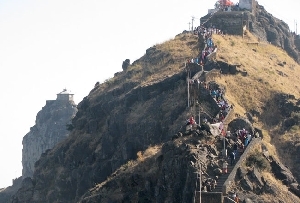 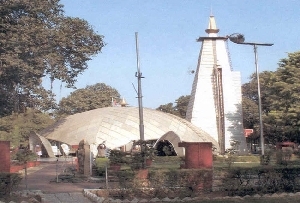 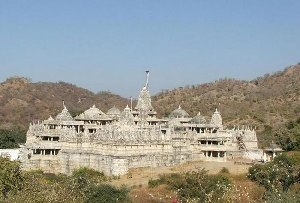 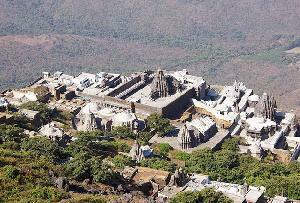 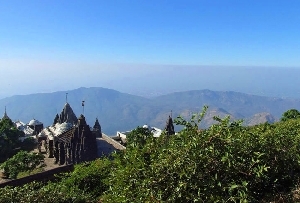 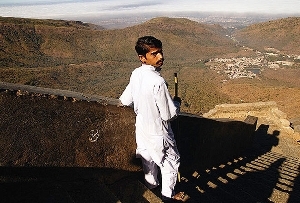 The temple was named after Shantinath, who was the sixteenth 'Jain Tirthankara'. 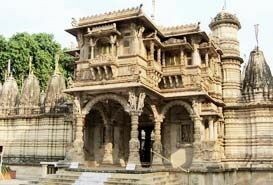 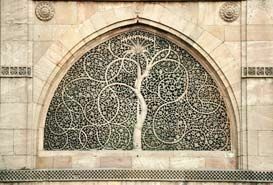 Mentions of the Jain saints who are popularly known as the 'Tirthankaras' can be found in every nook and corner of the Jamnagar Shantinath Mandir. 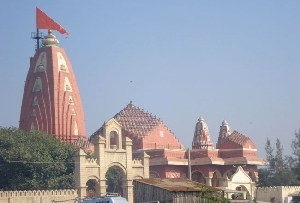 Located in the South-Western portion of Bedi Gate, in Jamnagar, the Shantinath Mandir is a temple that has amazed tourists belonging to any part of the world through its elaborate carvings. 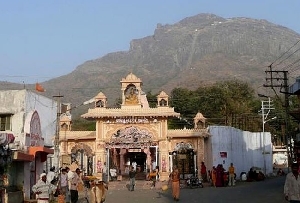 The walls of Shantinath Mandir are richly decorated with fine frescos as well as other wall paintings (murals), which illustrate the lives of various Tirthankaras. 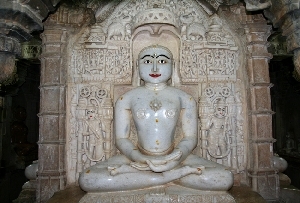 The life stories of these Jain Saints are shown by the tableaux. 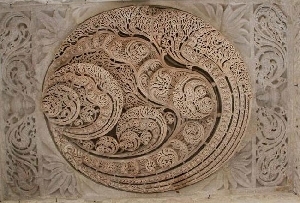 The muddled hues of yellows, greens, pinks, oranges and blues depict a wide range of flowers, people, Gods, and domestic objects also add to their tales. 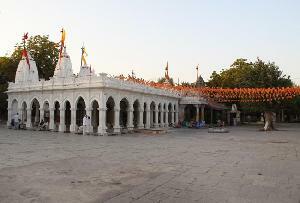 The ceilings, walls, and even the pillars are intensively as well as exquisitely decorated with murals. 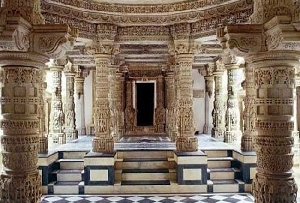 The floor is consists of marble, which is adorned with distinctive Jain designs in the colors of yellow, red, white, and black. 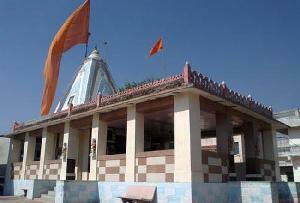 Another magnificent of Shantinath Mandir, is a maze of brightly colored columns. 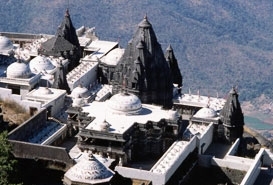 Every section of roof between the columns is decorated with independent patterns. 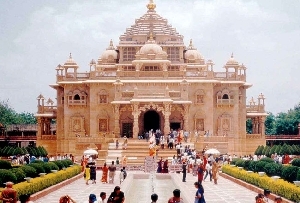 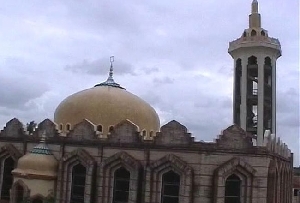 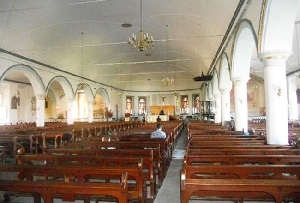 Further, there is also an enormous dome that rises above the main sanctuary, in a succession of concentric circles which are polished in gold.